The Young and the Restless spoilers has some breaking news to pass on about the helm change at Y&R. Since it was announced that Mal Young has been fired as both executive producer and head writer, there’s been a lot of speculation about who will be taking over the positions. Daytime Confidential is now reporting that two individuals have been tapped to take over the roles. Anthony “Tony” Morina will be taking the role of executive producer. Tony has been with Y&R since 2004 and has a long history in soap writing and producing. His credits include Santa Barbara, Sunset Beach, Port Charles, General Hospital, and All My Children. As for head writer, Josh Griffith will take the role. Josh has served as head writer of Y&R before, from 2007-2008 and from 2012-2013. He also served as co-executive producer of the series from 2006-2008. He has considerable writing experience in other shows as well, including Days of Our Lives, General Hospital, and One Life To Live. Of course, the big question now is how these changes will impact the storylines and overall direction of Y&R. 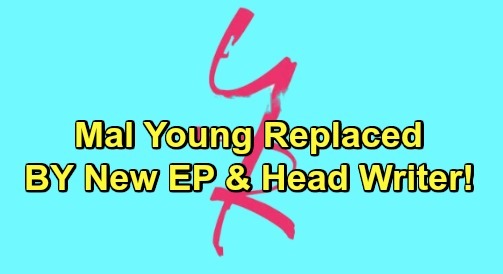 Over the past year, fans have seen the introduction of several new characters, such as the extended Rosales family, while Y&R vets have been sidelined or eliminated from the show. One wonders whether we’ll see The Young and the Restless follow the same direction, or whether more radical changes will occur on canvas soon. Time will tell, but our guess is that there are many excited fans anxiously awaiting change after being not-so-happy with Mal Young’s direction for the show. What’s your perspective? Do you think that good changes are coming as a result of the helm change at Y&R? Stay tuned to the CBS soap and don’t forget to check CDL often for the latest Young and the Restless spoilers, updates, and news.